Valdez Glacier. 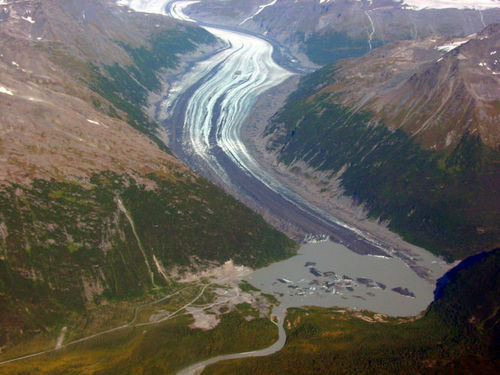 Valdez Glacier in the Chugach Mountains, Alaska. Over the past century, this glacier has thinned 90 meters. Wallpaper and background images in the Global Warming Prevention club tagged: global warming.